For Major Lazer’s recently released Africa Is The Future EP, South African filmmaker Adriaan Louw travelled with the group across the continent to film music videos in Lagos, Durban, Accra and Dakar. With four songs featuring Burna Boy, Mr Eazi, Raye, Kizz Daniel, Babes Wodumo, Taranchyla, Jake Gosling and Kranium, it was always going to make for a wild ride. And so, having amassed so much exhilarating footage, Louw has now come up with a director’s cut of the whole trip. 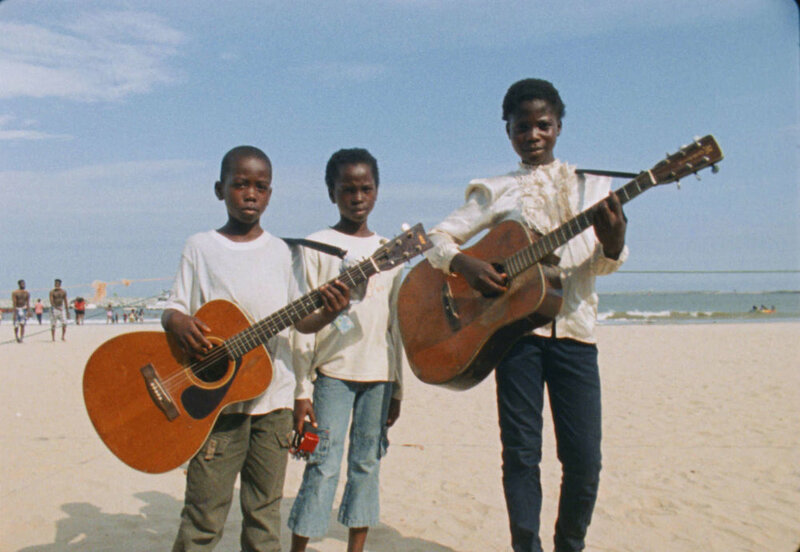 From Nigerian street boxers and South African school kids to Ghanaian motorbike crews and Senegalese surfers, these glimpses of life are all tied together with soothing ocean views and voracious rhythms. What was the original vision for this project? The series is a celebration of contemporary Africa that weaves together elements of history, youth culture and dance. I wanted to highlight the forms of expression that are unique to each of the four cities we visited. With the director’s cut my goal was to pull all four together into a more unified narrative and it was a great opportunity to showcase the everyday beauty and atmosphere we experienced in each place. Can you tell us about the adventures you experienced during filming? Wow, there are so many! We kept the crew super small, which made it a lot easier to navigate unfamiliar situations and spaces and still be able to hustle. In Lagos for example, some guys locked us in a building for ages waiting for bribes. One of my favourite experiences was in Dakar, taking a boat out at sunrise and jumping into the water to shoot our surfers. Another was when our dancers took us out to a Gqom party in the Kwamashu in Durban. What do you hope viewers take away from the director’s cut? I hope that it shows how amazing and diverse the continent is and that people from South Africa, Nigeria, Senegal and Ghana can feel that it represents them. It’s a glimpse at what the future holds for Africa both creatively and spiritually. And I hope it gets more people excited to visit the warmest place in the world.